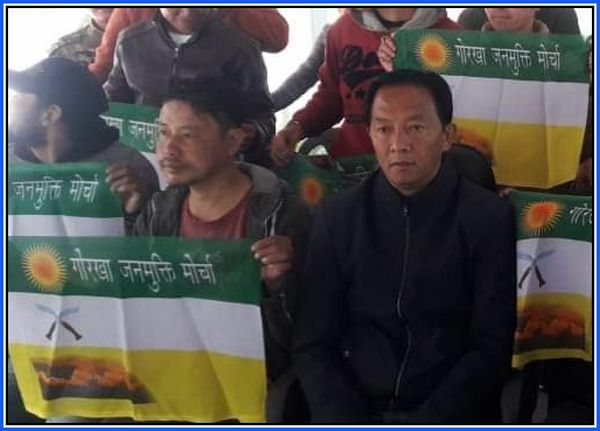 Darjeeling: The Gorkha Janmukti Morcha (GJM) has called for Gorkha unity to thwart BJP's alleged conspiracy to displace the Gorkhas from this region. This comes in the wake of BJP president Amit Shah's threat to implement the National Register of Citizens (NRC) in Bengal, if voted to power. Addressing a BJP election campaign rally in Alipurduar on Friday, Shah had stated: "We will implement the National Register of Citizens (NRC) in Bengal to identify and throw out each and every infiltrator from the state. We want to assure each and every Hindu refugee that no one has to leave the country. All of you will have a place to live in India with respect. This is our commitment." Shah's statement subsequently ruffled a few feathers. "There is a conspiracy hatched by the BJP against the Gorkhas. We have to unite against this. Amit Shah's statement has come as a shock to the Darjeeling Hill people, where more than 80% of the population do not have land rights. It is a tell-tale sign of uncertain future for the hill people without land rights, if BJP is voted to power. People will be asked to provide land documents. There will be a fixed cut-off year. Gorkhas will then be dubbed illegal immigrants. They will replicate what they have done in Assam. Thousands of Gorkhas have been labelled as 'D voters' or 'Doubtful voters', despite having lived in Assam for generations," stated Binay Tamang, president, GJM.